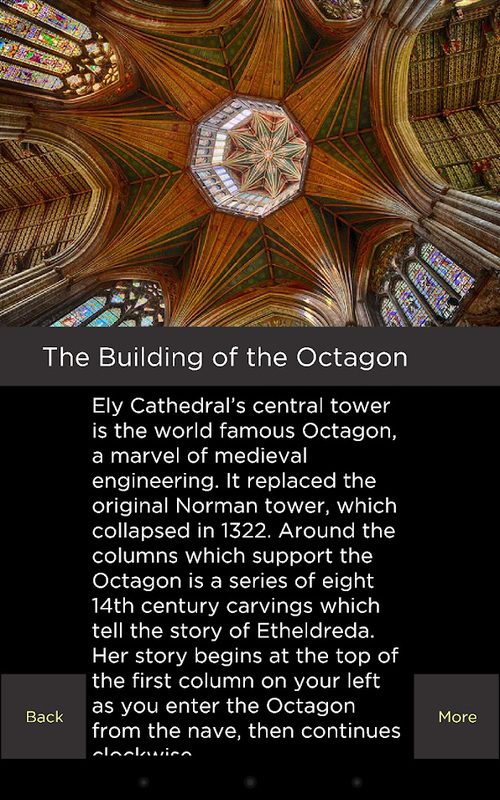 Christianity and Culture worked with Ely Cathedral between 2015 and 2017 to produce both interactive phone app and touchscreen resources for use within the cathedral. 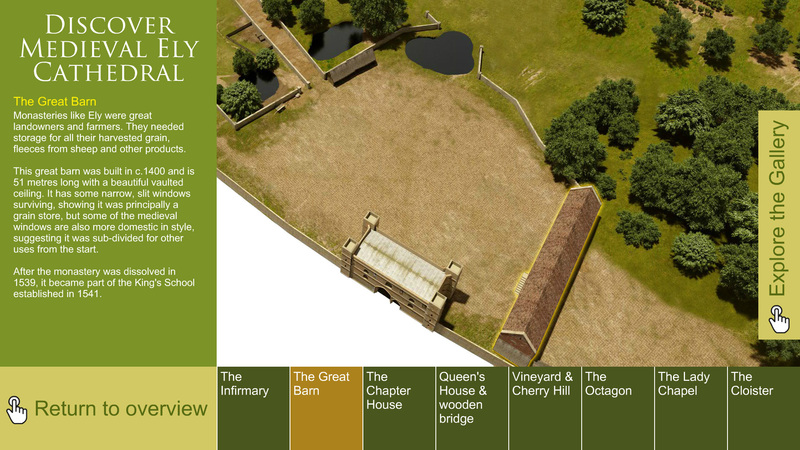 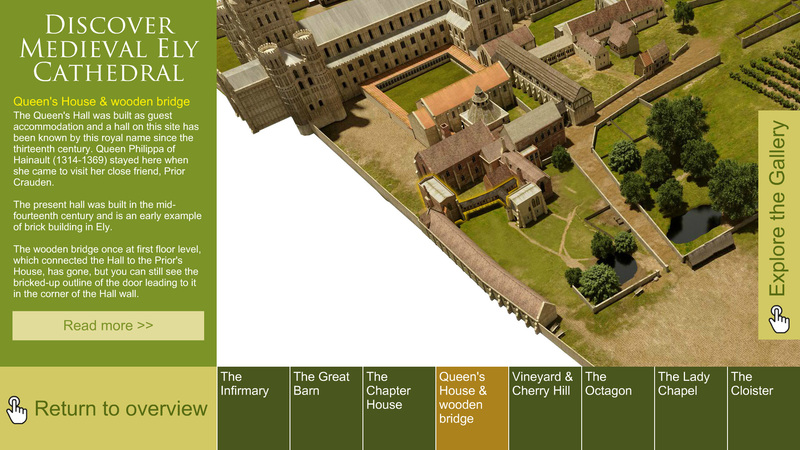 The first phase, delivered in late 2015, created a guidebook-style mobile device app that would allow visitors explore and better understand the building and its history. 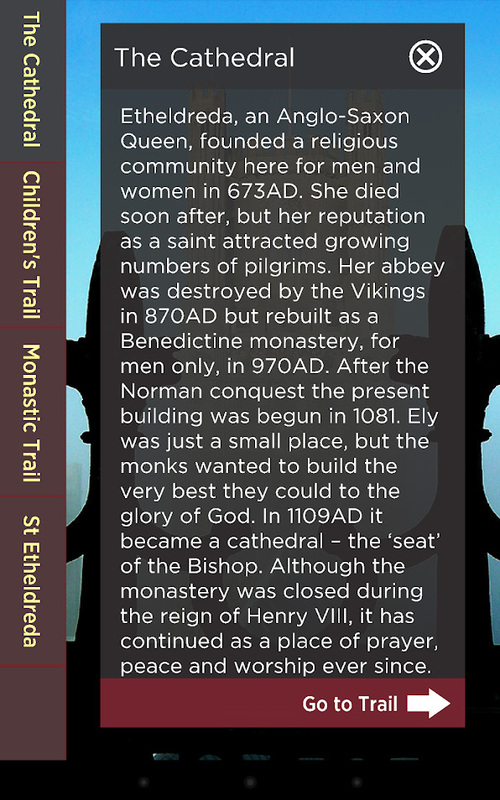 The app's four unique trails (Cathedral Tour, Children's Tour, Story of Etheldreda and a Tour of the Monastic Precinct) present an insight into 1300 years of worship, art and architecture, and detail the lives of truly remarkable people. 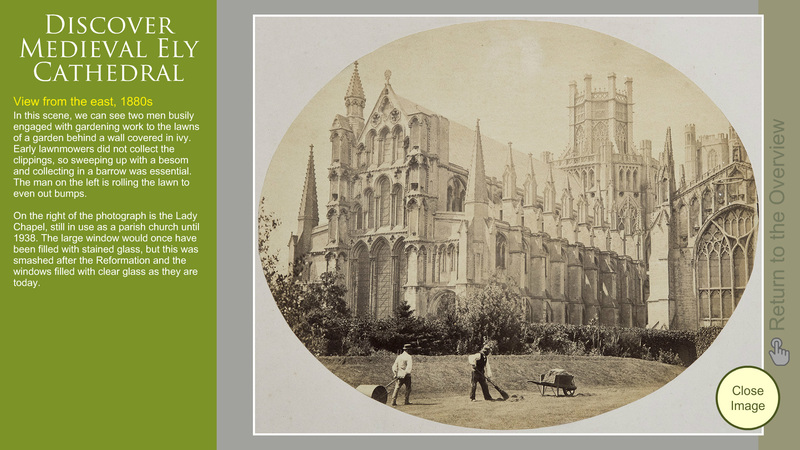 Each trail has richly illustrated, contextualised information points designed to highlight key areas and features of the cathedral. 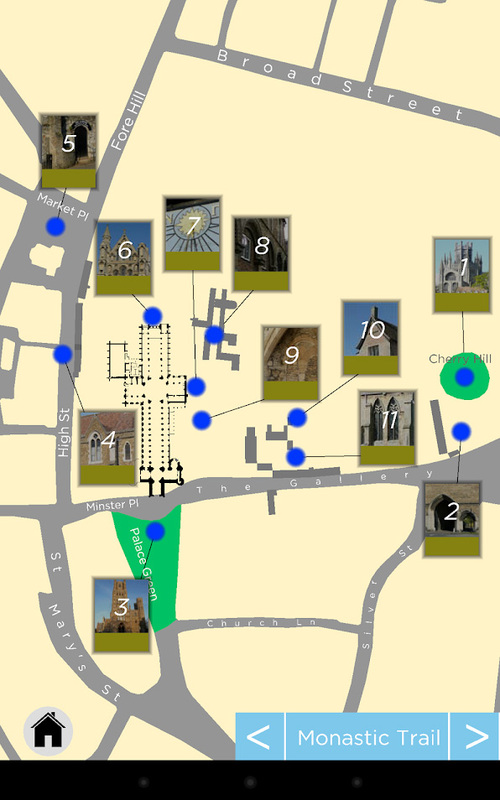 However, whilst the trail points fulfill an important informative role, a key additional aim of the app was to provide visitors with the opportunity to create their own 'pilgrimages' around the cathedral and develop a more meaningful association with the building. 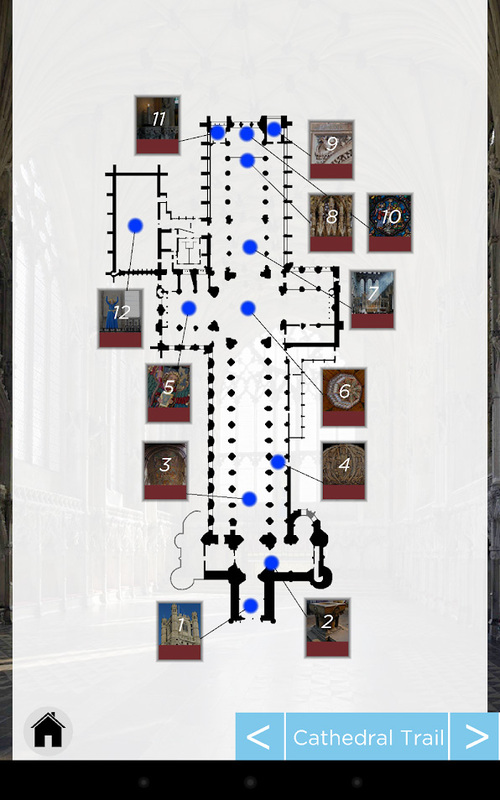 The second phase of the partnership, undertaken in 2016-2017, further developed both visitor and teaching resources for the cathedral and aimed to help visitors of all ages engage with the cathedral space and understand more about its monastic history and spiritual significance, both historically and today. 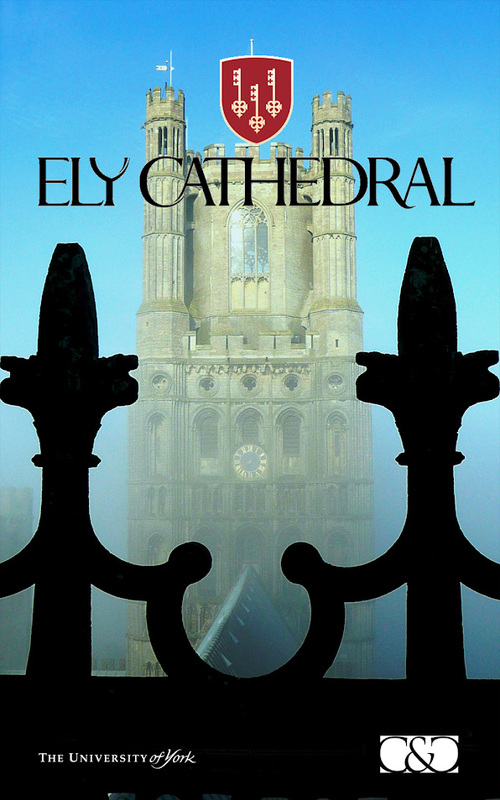 A significant aspect of this development built upon the existing curriculum-based schools work undertaken by Ely Cathedral to find creative ways of engaging younger visitors with the many aspects of history and present life, from its changing architecture to the role of worship in the cathedral space. 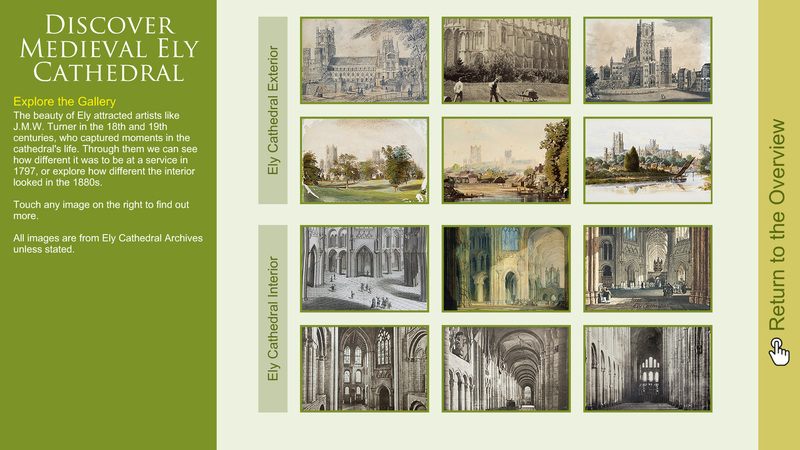 Four touchscreens (located at different points within the cathedral interior) display 3D modelling, old photographs, prints and reconstruction drawings give visitors an overview of the Cathedral’s development through time. 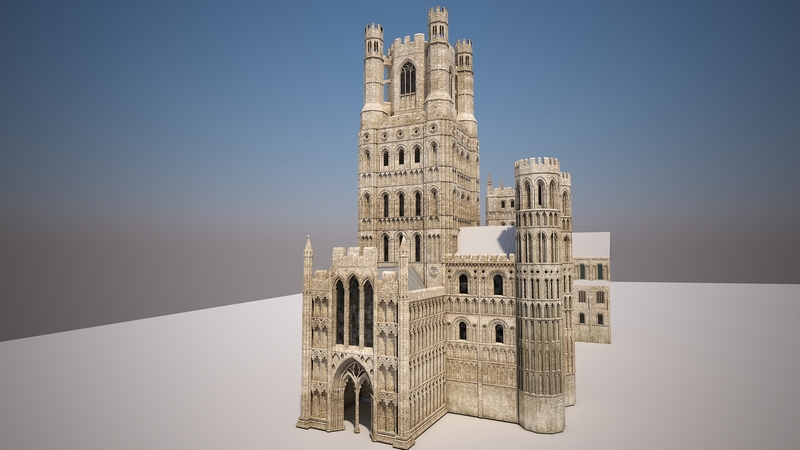 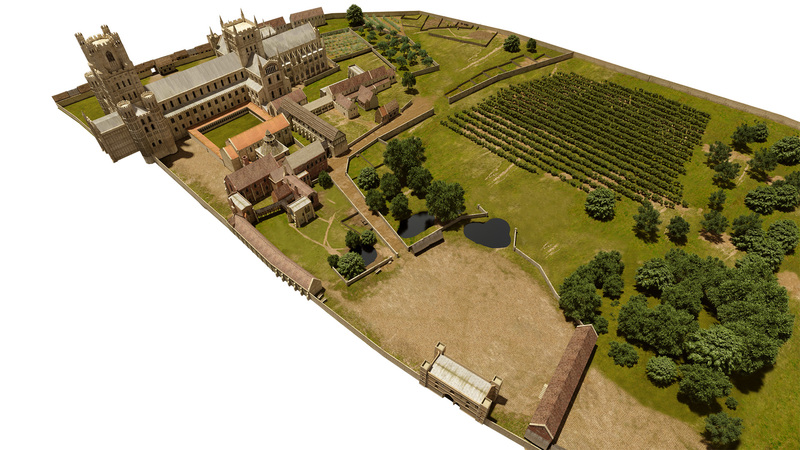 The 3D model focuses upon the early 14th century monastic precinct at Ely, and provides a visual canvas through which the key events and spaces can be explored and better understood. 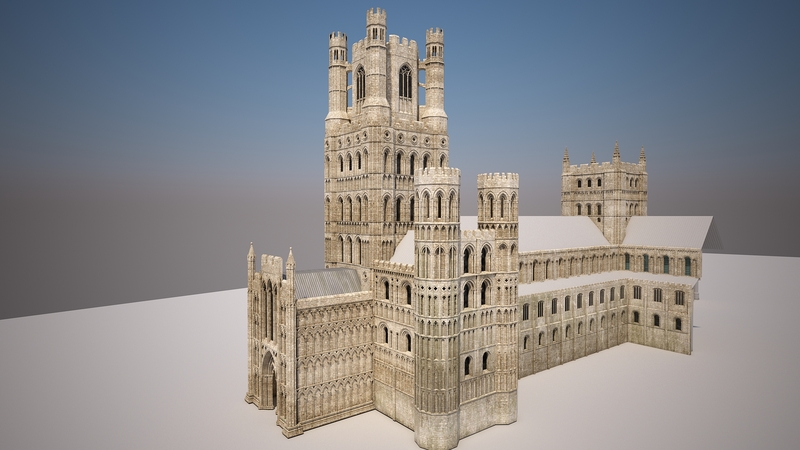 The result of rigorous academic research into the existing archaeological and documentary evidence, the models are perhaps the most accurate representations of the cathedral's monastic past we can hope for.